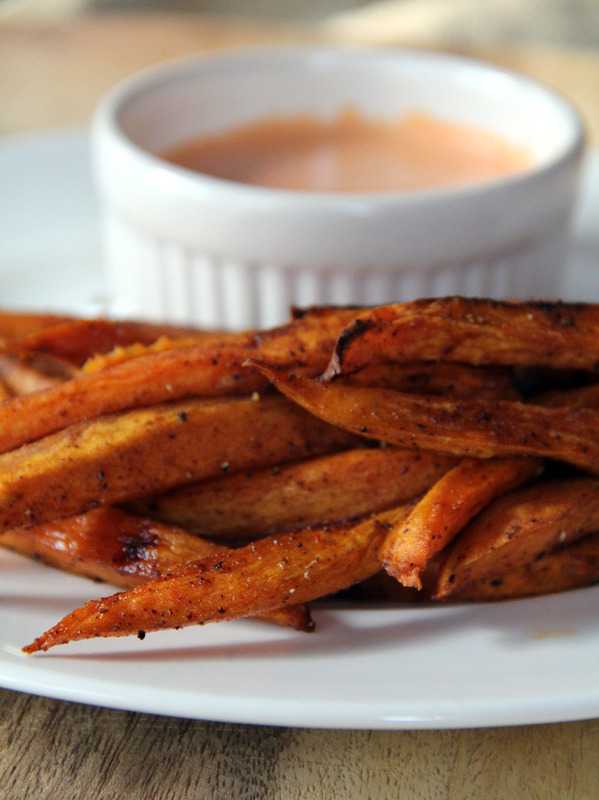 Homemade sweet potato fries, oh how I love thee! Do y’all like sweet potato fries? They are so easy and make a great side dish for so many things: chicken, pork, fish, or even just a big salad. 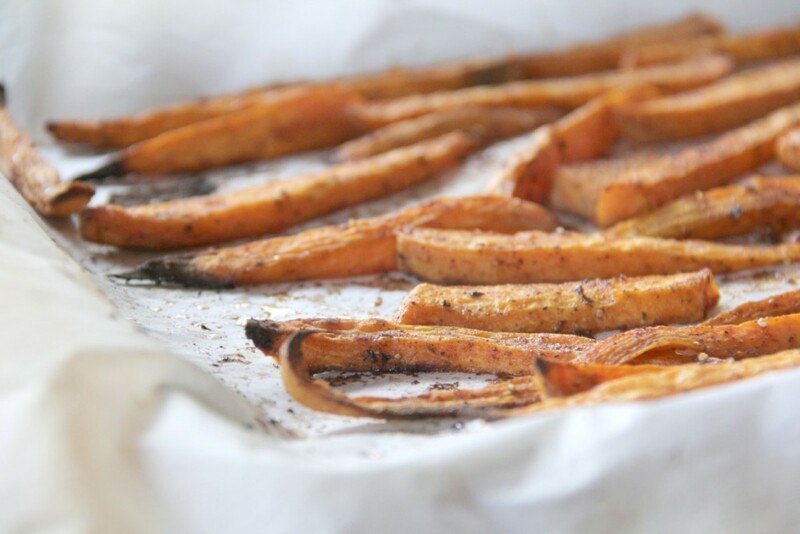 And homemade sweet potato fries are way better than any frozen ones you can pull out of a bag! 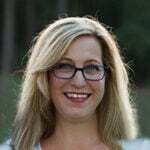 A lot of evenings we will have a simple supper of just homemade sweet potato fries and some other roasted vegetable, maybe my roasted Brussels sprouts or roasted cauliflower. It’s quick and easy, with little cleanup. 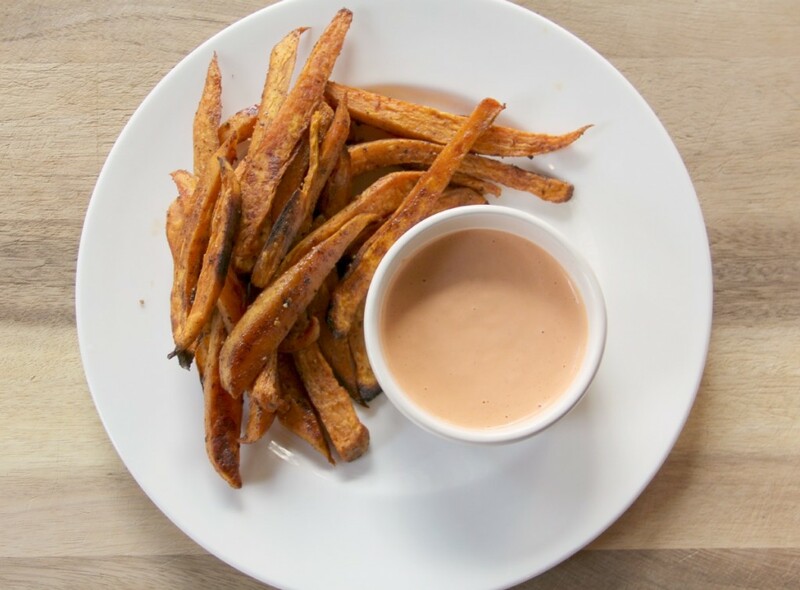 You can pair sweet potato fries with a dipping sauce if you like a little extra oomph. This one is made with Sriracha sauce to give it a nice kick of flavor. You could also make a sweeter sauce with a little brown sugar and ketchup. A little cornstarch sprinkled on the sweet potatoes will help them get crispier in the oven. Crispy, sweet, spicy, healthy, and delicious! 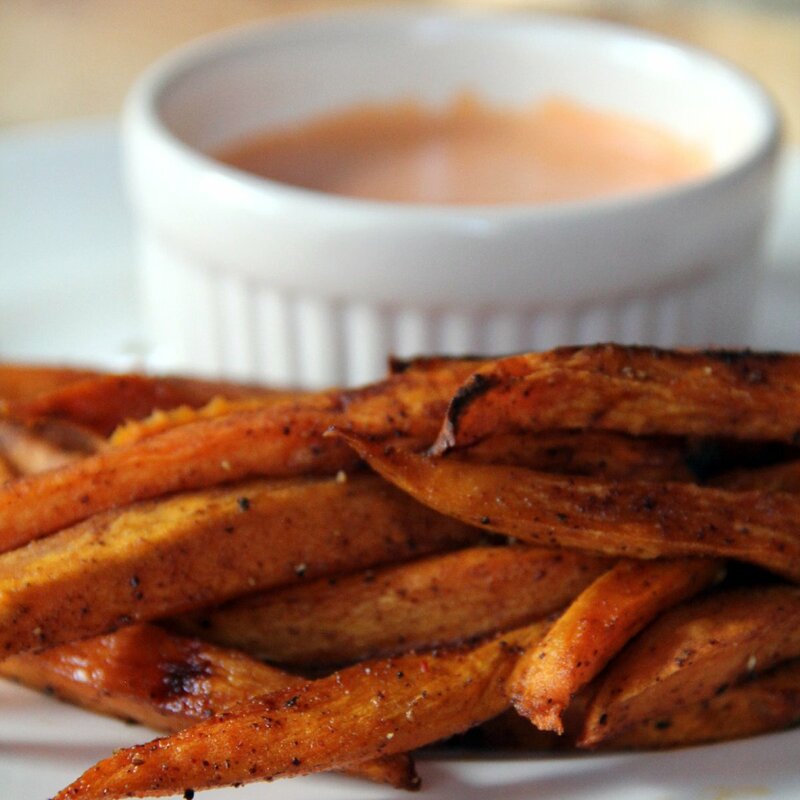 Homemade Sweet Potato Fries — these oven baked sweet potato fries are seasoned with chili powder, cumin, and brown sugar, and paired with a Sriracha dipping sauce! Preheat oven to 450. Spread parchment paper over baking sheets. Peel and slice potatoes evenly into strips. I usually cut off a bit of the ends to help even them out. 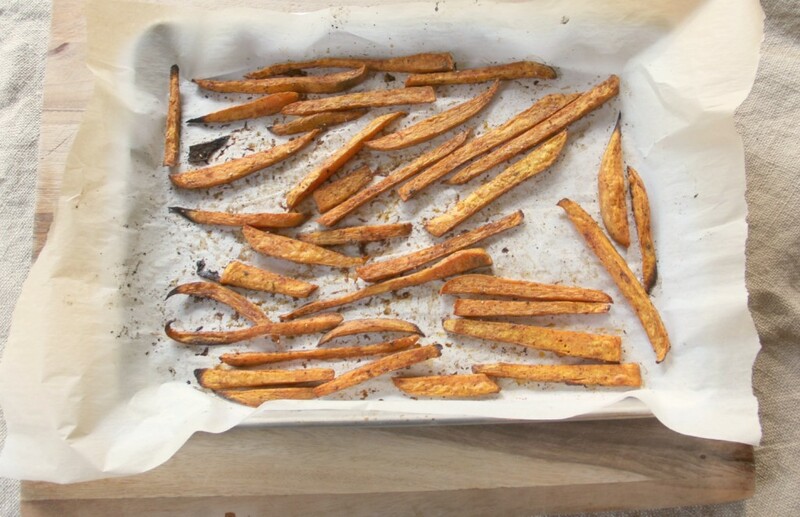 Place potato strips on baking sheet and sprinkle with cornstarch. 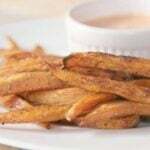 Using hands, toss potato strips with cornstarch until coated. Drizzle potato strips with olive oil and sprinkle with all the spices. Using hands, toss potato strips again until mixed well with oil and spices. Space potato strips out so they are not touching. Use two baking sheets if necessary. Bake for 12 minutes. Remove pan from oven and flip potato strips. Bake another 12 minutes or until nicely browned. Turn oven off and open door but do not remove pan. Allow pan to rest in oven 10-15 minutes. This will help the potatoes become crispier. In medium bowl, stir all ingredients together until well blended. Store in refrigerator for 3-4 days.